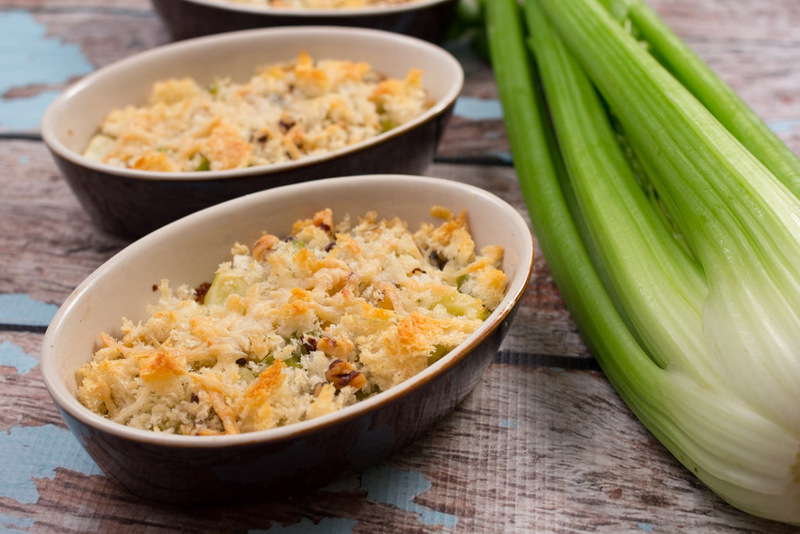 This celery gratin is very flavourful, with garlic, white wine and fresh parmesan. It is also simple to make, and uses just one deep frying pan during the preparation. 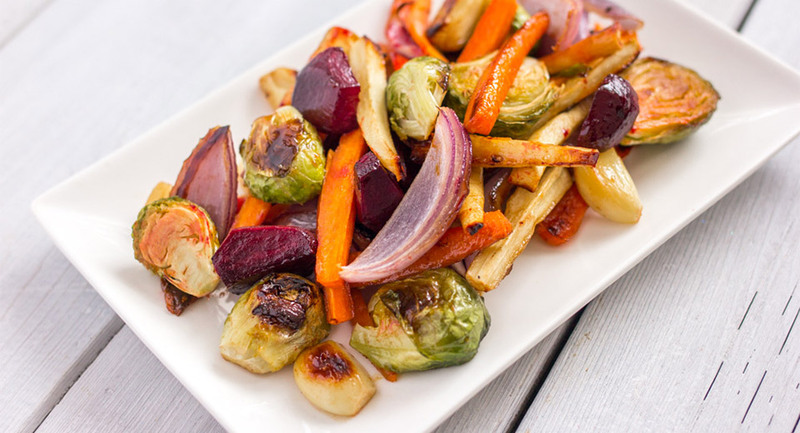 You may also prepare most of it a day or two before, and then finish off the last step just before baking – making it a perfect side dish to accompany a large celebratory meal! Preheat oven to 385° F (195° C). Prepare the breadcrumbs by pulsing the white bread in a food processor until crumbs appear. Set aside. In a deep non-stick frying pan over medium heat, sauté garlic and onion in butter until soft, approx. 2-3 minutes. 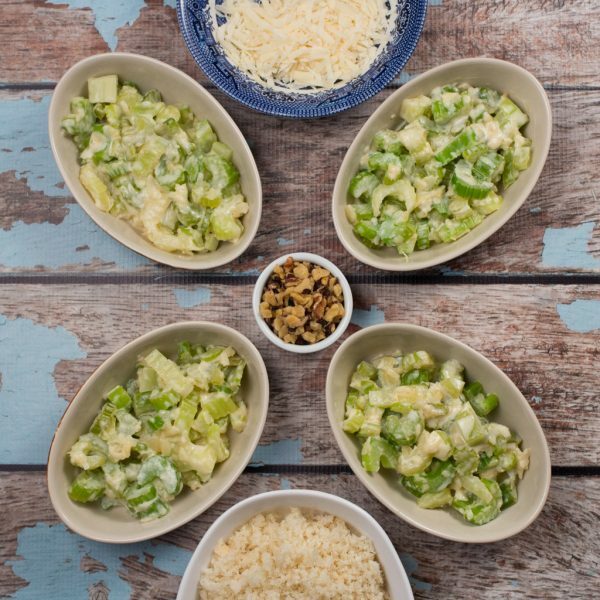 Add chopped celery and white wine in the same pan. 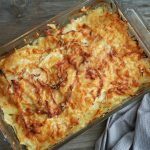 Cover immediately and let steam for between 3-5 minutes (3 minutes if you like some crunch, 5 minutes if you prefer a softer finish). If you cook for the longer period, stir once after 3 minutes to avoid the food catching on the bottom of the pan. Lift lid and remove from heat. Sprinkle flour evenly over the celery, and then stir in to create the roux. Let the flour absorb the cooking liquid. Stir in cream and milk and let thicken. Stir in 3/4 cup cheese and remove from heat. 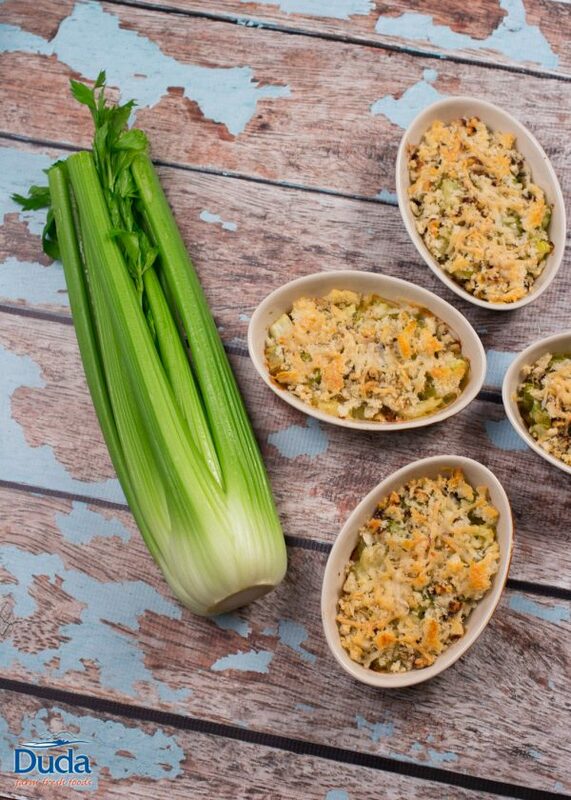 Distribute the celery mixture evenly among 8 ramekins for individual servings or in a greased 9x13 inch pan. 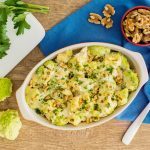 Prepare breadcrumbs by combining olive oil, breadcrumbs and walnuts until evenly distributed. Sprinkle breadcrumb mixture over the celery mixture evenly. 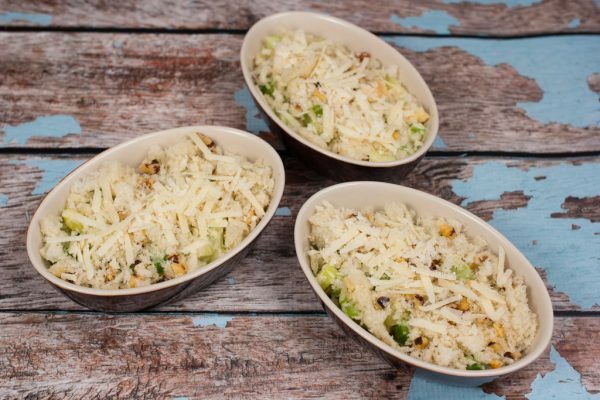 Use the remaining cheese to sprinkle over the top. Bake in pre-heated over for 20-25 minutes until the top is lightly toasted and the celery mixture is bubbling. If you are using ramekins, it is recommended that you bake them on a baking tray. 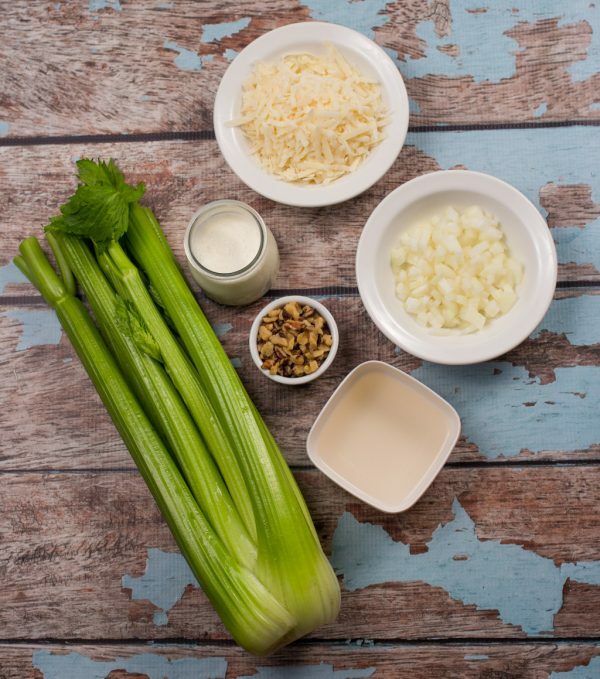 You may prepare the celery mixture in advance, a day or two before you wish to eat it. Keep covered in the fridge. The mixture will need to warm up before it can be spread into your baking dishes, if you haven’t stored it in the pan you wish to bake it in. Create the breadcrumb mixture and add to the top just before baking.